I wanted something fast and easy to put in Kai’s Easter basket. I did an quick inventory of her clothes and toys and realized all her playsilks were on the small side and since she loves peekaboo and wearing towels as scarfs, it might be time for big playsilks. 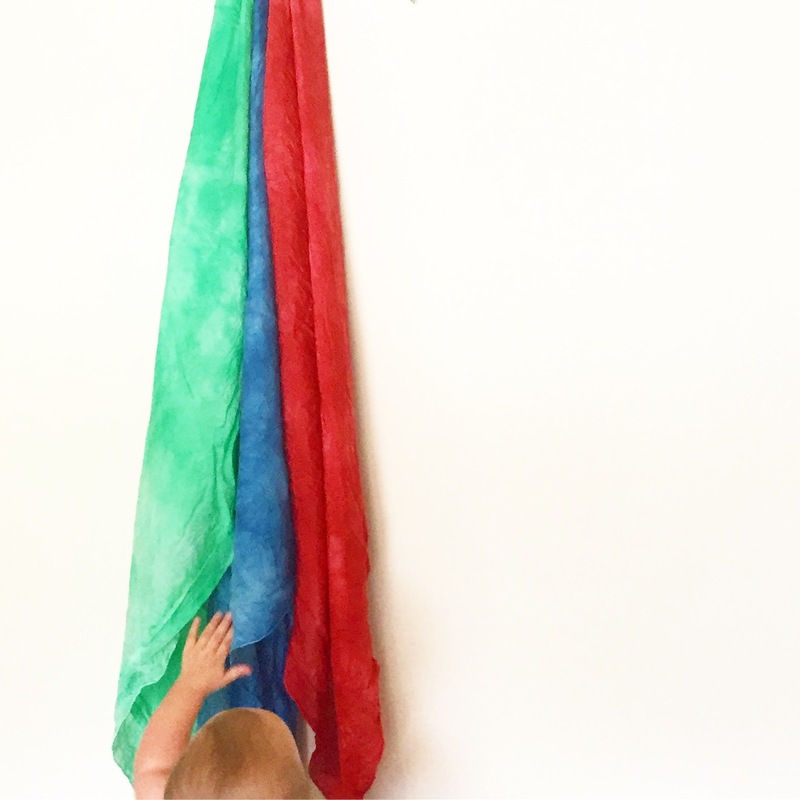 I purchased 35 x 35″ play silks from Dharma Trading Company and dyed them with koolaid. 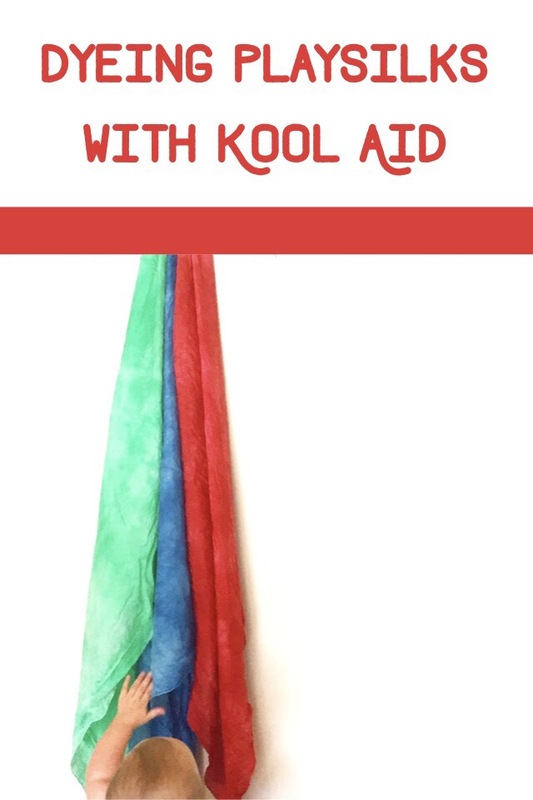 Koolaid dyeing is super easy. First, soak your playsilks in white vinegar. Then bring a pot of water right before boiling. Place your Koolaid packets in a bowl large enough to let your playsilk move around. I used four packets per silk, but I think five might give you a more even color. Stir the Koolaid until it is fully dissolved and then add your silk. Make sure all of the silk gets exposed to the dye. 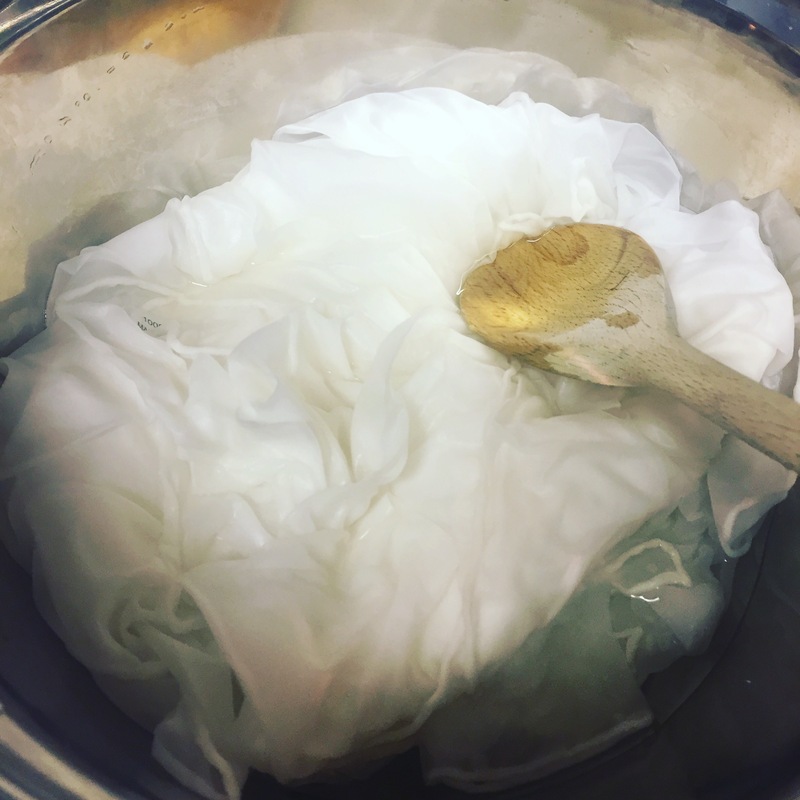 As the silk absorbs the dye your water will get much lighter and cloudy. It takes 2-3 minutes. 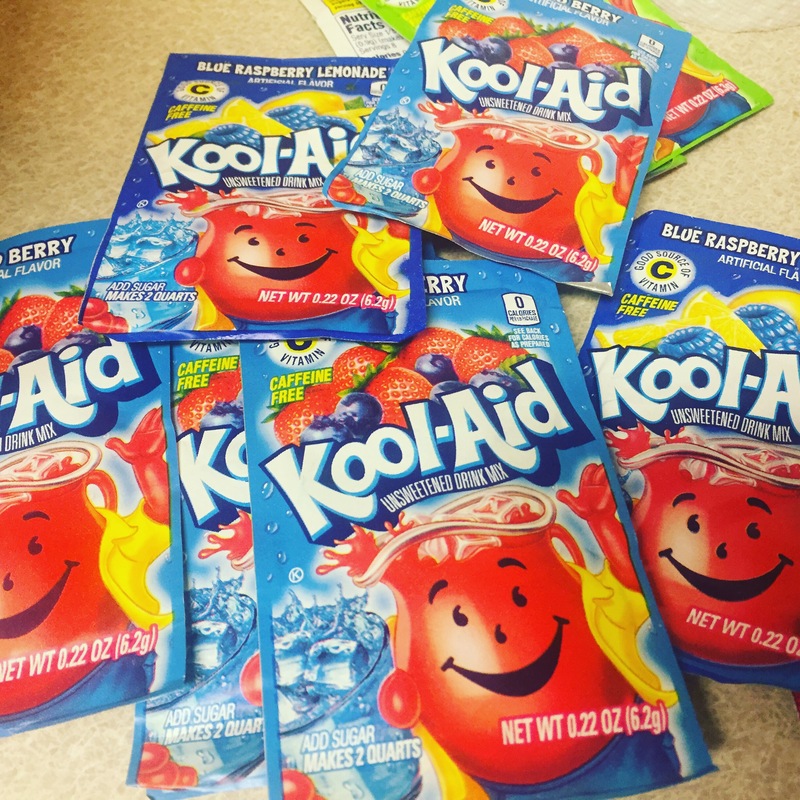 If your water goes white and cloudy and your playsilk still has white or light blotches, you need more Koolaid. You can also stick the blotchy playsilk in a different color for a mottled effect. Once you like the color, pull your playsilk out and run under cold water until the water runs clear. Let dry and then you are all done. It took less than 30 minutes to do all three silks. Koolaid dyes very close to the color it has as a liquid. We used 3 Black Cherry and a Mixed Berry for the red, 3 Mixed Berry and a Grape for the blue, and 2 Green Apple and 2 Blue Lemonade for the green. 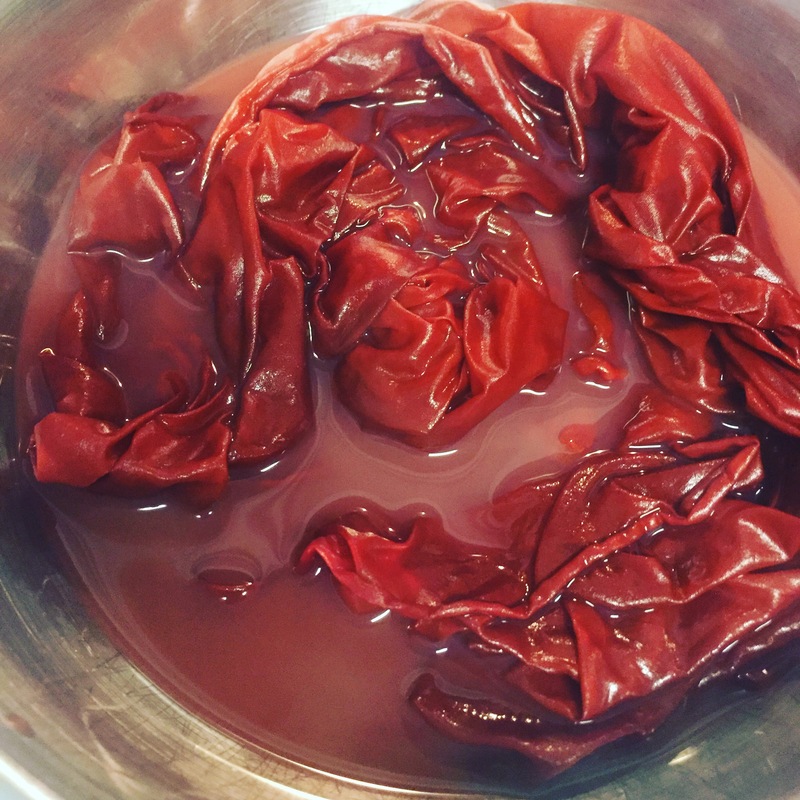 Looking for a more natural dye? We dyed playsilks with turmeric to great results.